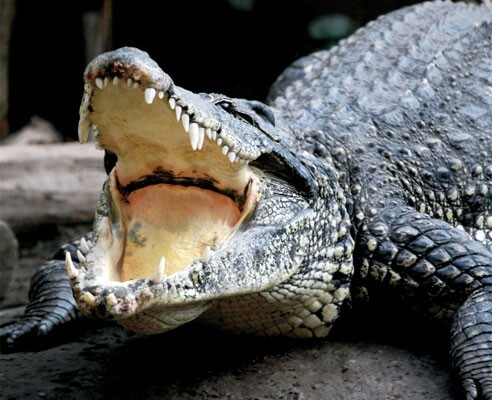 Everglades National Park was established in December 6th, 1947. The Everglades is important to Florida because its diverse wildlife and unique wetlands. The Everglades National Park covers 1.5 million acres of land. You can bike in Shark Valley where you will encounter alligators, deer, and an assortment of native birds. At the end of the trail, you can enjoy a scenic overlook which will display a variety of native wildlife including fish. Fun Day snorkeling at Pompano beach! 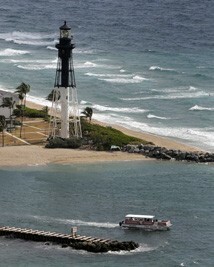 On Pompano Beach you can have a picnic lunch on the beautiful beach in front of the lighthouse. After lunch, you can swim out to the reef and snorkel. You will see tropical fish, coral, sting rays ,and rarely a harmless nurse shark. Also if you are deep enough, you can find a sunken ship. 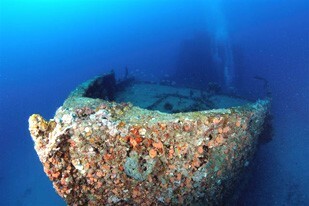 This ship became a reef attracting many tropical species of fish and wild life. 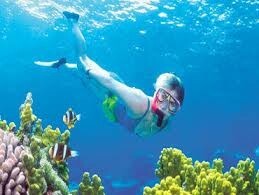 Look she is snorkeling! That looks like so much fun! The St. Augustine fort was built in 1672. The purpose of the fort was for protection. To protect St. Augustine from pirates and English invaders. The Forts real name is Castillio de San Marcos. It is also the oldest fort in the U.S. it was also made up of small shells. 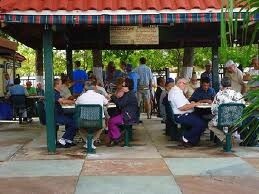 Begin your day at Versailles, a typcal local Cuban favorite restaurant, have a Café con leche and pastelillos de guayaba and queso (latte and Cuban pastries). It is one of the best. Stroll down SW 8th St. You will find many local small shops. Have a shot of Cuban Coffee along the way at any small cafe. You might be invited to play dominos with the many older men you will find playing along the sidewalk. The Freedom Tower was used like Ellis and Angel Island. Instead It was only use for the Cubans. 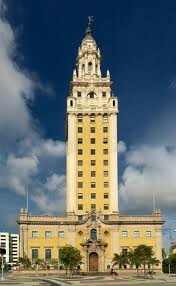 The Freedom is located in Downtown Miami. It was built in 1925. Today it is open to the public. It is a memorial and museum to Cuban immigration.